It’s officially spring, and that means it’s time to break out those fun sunnies and specs we’ve been itching to wear! 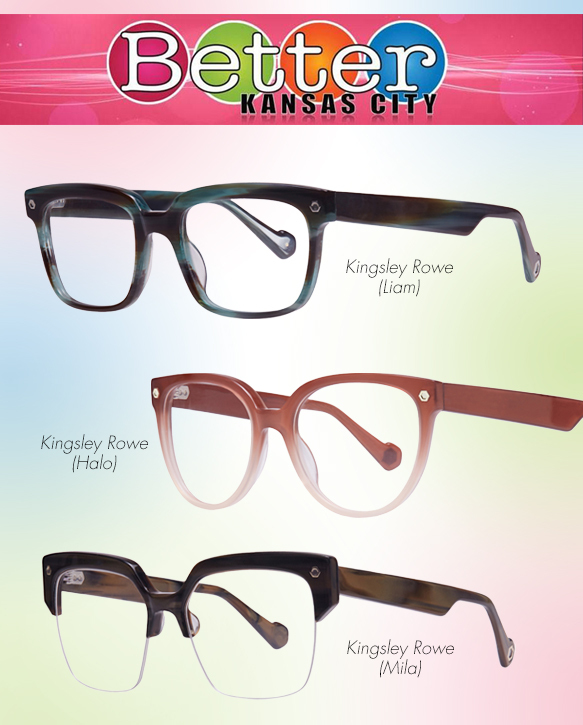 Confidence coach and beauty expert Kate De Ponte appeared on KCTV “Better Kansas City,” a popular morning lifestyle show, today with more seasonal frames for both guys and gals that we can’t wait to get our hands on. Check out a video clip of the segment below, and keep scrolling to peruse the featured eyewear. If a pair catches your eye, head over to Eyecessorize.com for more info on how to snag it for yourself! Ladies, what better time to add a pop of color to your outfit than during the warmer months that are coming up? Pick some sunnies in bright hues like hot pink, ocean blue and tangerine orange, or opt for flirty floral patterns to do the talking. Navy blue and metal frames dominate for guys, while tinted lenses and matte finishes add the unexpected elements you crave. No matter who you are, you can’t go wrong in a round or a classic aviator silhouette this season. An ombré or marble effect is a great way to add pizzazz to your specs, and small metal temple accents add that extra something. Gals oughta be on the hunt for those peachy shades, while guys should stick to the darker tones like teal and brown. Everyone should try out a wayfarer or Clubmaster profile to keep their specs as sleek as they are.